The dusty pink Botanical Print is the eye-catcher of the collection. 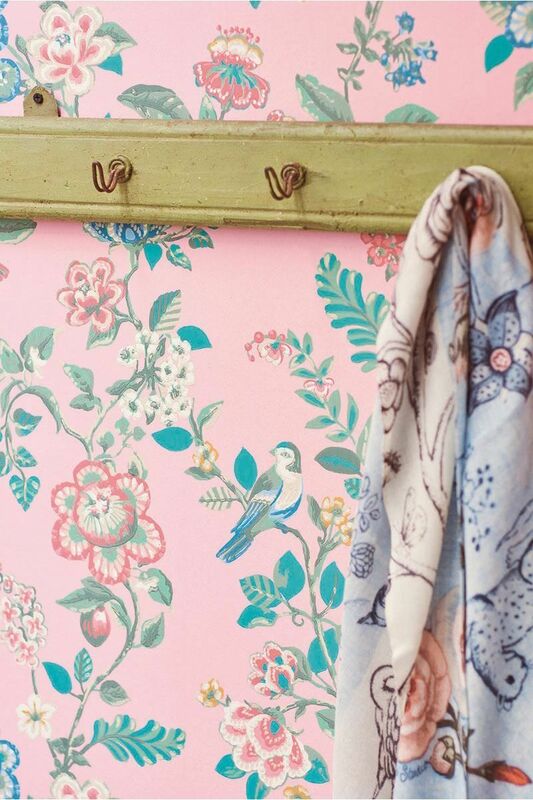 The fantasy flowers and birds in this design are surface printed, giving the botanical elements a unique hand-painted look. 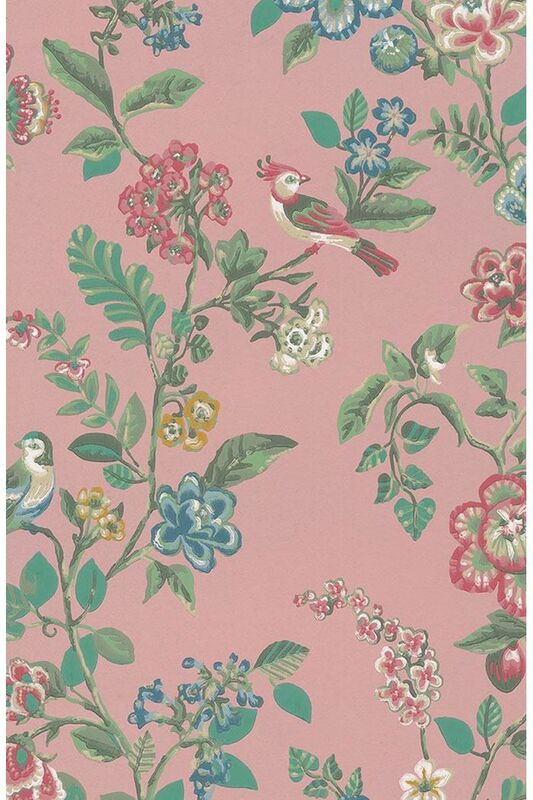 Pip Studio wallpaper is printed on smartpaper. This smartpaper makes hanging it a walk in the park. First apply the Perfax Roll-on paste to the wall. Next apply our smartpaper and you’re done! 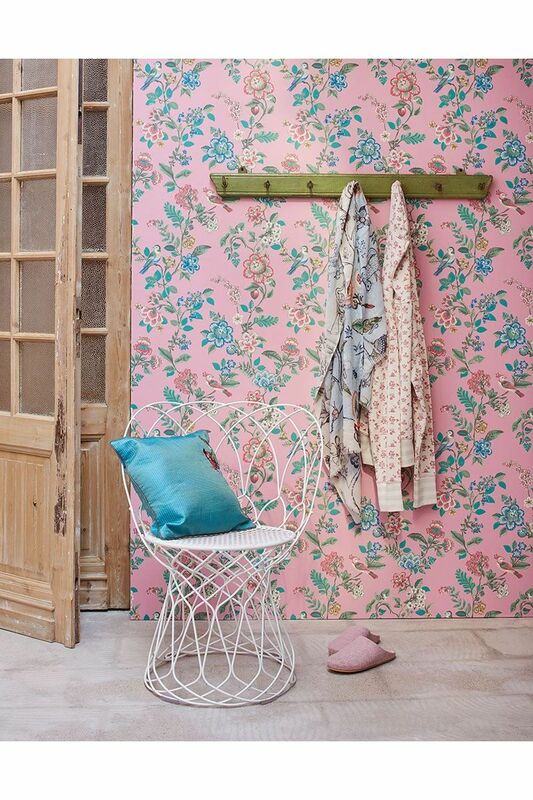 There’s no need for a pasting table, you can work clean, dry and the wallpaper is easily cut to measure. This is a non-washable wallpaper.